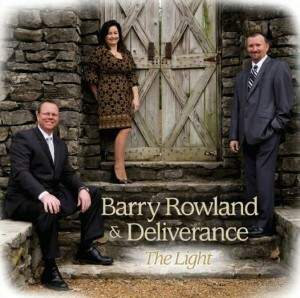 This is my fourth review of a Barry Rowland & Deliverance recording in five years, and it’s always a recording I look forward to. With The Light, Barry, his wife Tammy, and Shawn Rupert return with another collection of (mostly) Kyla Rowland compositions showcasing their signature Appalachian gusto. If anyone out there still isn’t familiar with Shawn Rupert, they continue to miss out on one of gospel music’s most powerful voices. Barry Rowland & Deliverance are at their best when they turn Rupert loose on a song with some juice to it. The album opener, “God Delivered Me,” is an example, as is “He’s Still on the Throne,” which has always been one of my favorite songs in Gold City’s catalog. Deliverance’s version gives Rupert the lead throughout, as opposed to handing it off to a higher voice in the chorus, which I think gives a more energetic effect. Rupert also has an outstanding feature on “The Light,” another excellent pull from Kyla Rowland’s vast bank of songs. This one has a slower tempo, but probably the most powerful delivery on the album. “The Light” is just one of a handful of mid- to slow-tempo songs in 3/4 or 6/8 time (how do you tell the difference anyway? Ha.) This is, of course, Mrs. Kyla’s staple. These include excellent features for Tammy (“Looking at a Risen Lamb”) and Barry (“God’s Word Will Stand”). The latter is a particularly well-executed lyric on the supremacy of Scripture, which is always a worthwhile song subject. The slower songs are broken up by a couple of quality uptempo numbers. “That Tomb Is Empty Now” is, obviously, a Resurrection lyric, and one I gladly found stuck in my head quickly. “Holy, Glory to the Lamb” tells of the new song we will be singing in Heaven. In a day where many groups are trying to make their music sound shiny and slick, I always love the contrasting quality of Barry Rowland & Deliverance, who just rare back and SANG. (Where I’m from, SANG is a present tense verb.) With Shawn Rupert’s power, the group’s straight-ahead harmonies, and mama Kyla’s Spirit-saturated songs, Deliverance always delivers.